Composting may seem foreign to many of us who didn’t grow up farming or gardening, but as a practice it’s been around for thousands of years. I suppose that makes sense in a time where agriculture was so close to home and trash collection wasn’t the landfills it’s become today. 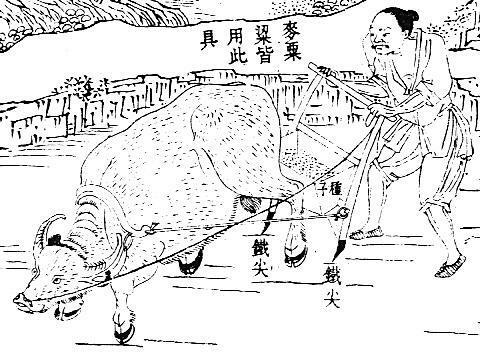 Composting dates back to ancient Mesopotamia and was a common practice in ancient China as well. There are also signs of its importance from the early Roman Empire from a book entitled “De Agri Cultura” from 200 B.C. Composting was also an obsession of our founding fathers, especially George Washington. When you walk into any grocery store it’s easy to see how far away we’ve gotten from that sentiment, but there’s also been a renewed interest not only in knowing how our food is grown but in even growing our own food and being responsible for its nourishment. Anyone who has spent time in Portland, OR or Boulder can see it’s more than just a trend. I suppose it’s also a mainstream sign of things to come when Williams Sonoma starts marketing kitchen composting jars. You are currently reading from ancient mesopotamia to williams sonoma at 52 To Do.